Funny, clever and historically inaccurate, Bill is certainly a comedy that you wouldn’t want to miss. So, what’s the story? Set in his “lost years”, William ‘Bill’ Shakespeare is struggling to achieve his dream of becoming a playwright in London. Meanwhile, Philip II of Spain is hatching a ‘Plan B’ plan to murder Queen Elizabeth I and to restore England as a Catholic country again. Then, ciaos breaks lose when the two men meet. It’s up to Bill to save the day, but will he be able to save the Queen in time? You’ll have to watch to find out. Overall, I thoroughly enjoyed Bill and give it a 9.5 out of 10. I highly recommend watching it either in the cinema or when it comes out on DVD. However if you are a parent of very small children or children who are not used to violence or blood, I strongly recommend you to watch with them because there are a couple of scenes of them. They’re a famous University acapella girl group and they star in their own movie. Oh, sorry Aubrey. I meant “movie squeal”, Pitch Prefect 2. I first heard of Pitch Prefect when I saw the trailer at the start of the New Year (2015). For months and months, I’ve been dying to see it despite the fact that I have never seen the first one. Well, apart from a few short clips and the soundtrack. Despite these experiences, I managed to see the film and I thoroughly enjoyed it. The storyline was very engaging; it was a little bit slow after the Kennedy performance at the beginning but once the film got through to Emily Junk’s Bella audition, it picked up again. The rest of the film flew by so quickly, it felt I was still watching the first thirty minutes. The cast were amazing, Hailee Steinfeld who played Emily Junk; her singing voice is amazing when she sings Flashlight. Also, give credit to Hana Mae Lee and Rebel Wilson who were extremely funny and I loved Wilson’s duet with Adam DeVine, were they sang ‘We Belong’. Say, chaps. Did you hear about two princesses who have gone incognito in the streets of London? Well, it hasn’t happened today but it did in real life – about seventy years ago to be exact. All is relieved in the latest British Comedy film, A Royal Night Out which had its full realise a week ago. 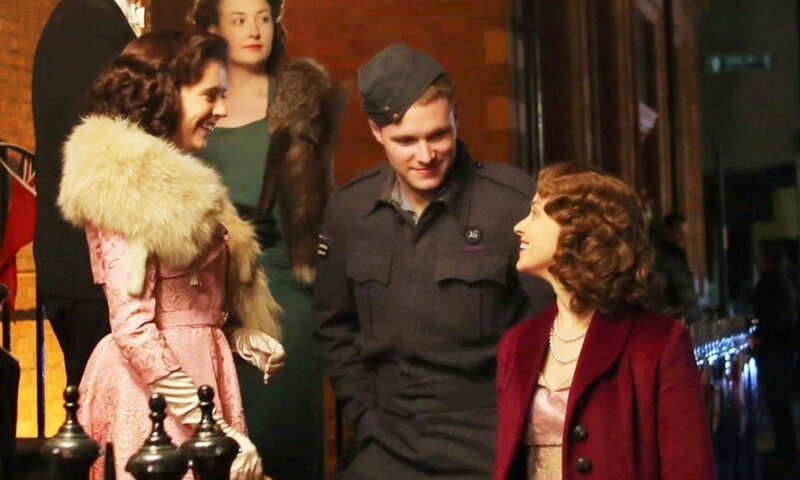 From right: Sarah Gadon as Her Majesty, Jack Reynor as Jack and Bel Powley as Princess Margaret. The scenes were pretty interesting. I loved the storyline of Jack (played Jack Reynor); at first, I thought he was a jerk but as the film went on, I began to have a soft spot for him. I adored the scenes that Jack and the Queen (Princess Elizabeth, who is played by Sarah Gadon). They were inspirational, warming and wonderful. Also, I love Powley’s scenes as Princess Margaret; they were quite entertaining, exciting and sometimes, very scary. I couldn’t stop watching all three of them. Mickey: Does the tiara rather give the game away, Ma’am? This truly is a top-notch line. I also love Sarah Gadon; she has delivered an inspirational portrayal of the Queen, with charm and wonderful personality. And to top it all off, I liked Emily Watson, and Rupert Everett’s portrayals of King George VI and Queen Elizabeth, the Queen Mother. I really enjoyed watching them so much, especially Everett. 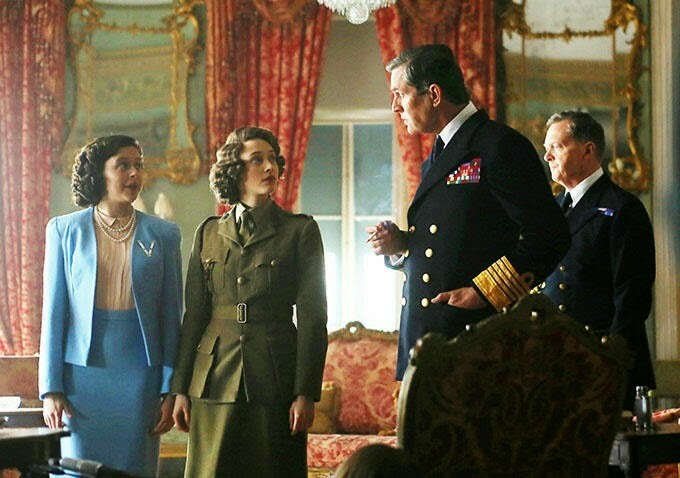 From left: Bel Powley, Sarah Gadon and Rupert Everett as King George VI. The costumes, made by Claire Anderson are spectacular; they truly amazing, especially the two dresses worn by Gadon and Powley. I also like Gadon’s military uniform as well as Reynor’s, especially since it’s in a different colour. And lastly in the costume department, I give credit to Powley’s V.E blue dress. It is a crowning glory in its own right. It’s hard to imagine that the modern world is now seeing heroines, making more appearances on the big screen rather than heroes. It’s a good thing to see, especially if you are a keen fan on action or sci-fi. Insurgent is one of these films, but it’s one that gave me mixed reviews after watching it in the cinema. Two weeks ago, I was invited by a good friend of mine to watch this film with me at the cinema. I was unsure, at first but after thinking about it, I decided to go. To be honest, I have never read the Divergent Series, nor watched the first film. However, my friend gave me a brief storyline, explaining what happened in the last one, who the characters were and so on. I tired to fit everything in, but somehow my brain didn’t want to function properly. As for the film, I sort of enjoyed it; most bits were good, but some were just too slow or confusing. First negative point I have for Insurgent is the scenes. There are most scenes, especially the beginning that are boring; why did the characters come to Amity territory? Why is Jeanine so obsessed with capturing Tris? These are the pin points that I just don’t understand or get. Second, the violence. There’s too much of it! I’m alright with some action, but watching it is like playing a console game on a Playstation all day. I certainly wouldn’t like see half of a movie with violence in it all the time. Why not give a storyline to go over it, or have a proper action scene between the heroine and the villainess? Surely, that bring an interesting picture. Thirdly, some of the side characters. I cannot stand some of them, especially Caleb. Personally, I don’t like winy characters who think they’re better than others; it’s so cliché. But, I like how Tris has a spot for him, just because he was with her group before the beginning of the film. In a way, his background is good, despite his personality. Let’s move on to the good points. 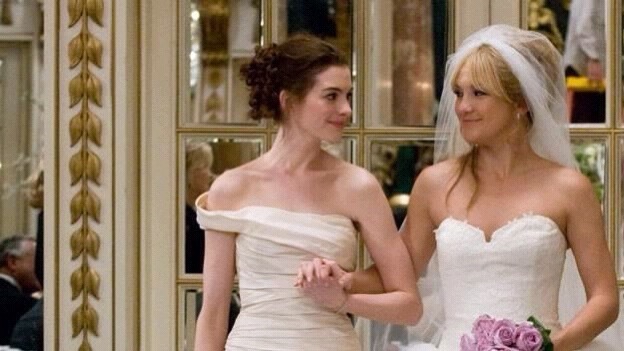 I love the interaction between Tris (played by Shailene Woodley) and Jeanine (played by Kate Winslet); their time onscreen together is amazing. It’s well executed, fast paced and simply entertaining. It’s almost like being in a boxing ring; you got the blue corner, treating people like they are trash, and can take on anybody because the can. And there’s the red corner, who is the opposite, facing many struggles and trying to do what’s right for others, as well as herself. Both, head-to-head; both have different views on life. It’s simply mind-blowing. I also love the scenes between Tris and Four (played by Theo James). These two are a perfect example of a teenage to young adult couple. Both have struggles in their individual lives, which I won’t give away and they deal with it but supporting and loving one another. And when Tris goes into action, Four risks his life to save her and she risks her life to save him when he’s in danger. I applaud Insurgent for this; it is new and fresh that a modern couple, on the big screen, are helping, sharing and loving each other equally. Why can’t other movies do that? It’s simply romantic, in a cute, yet modern kind of way. The cast was good; I liked Woodley’s portrayal of Tris. I actually gave my heart out to her throughout the film. She delivers Tris’ character so well and I believed her performance. James’ character of Four did a pretty good job too; he made me jump a couple of times and gave me reactions while he delivered his lines, like when he tired to save Tris from opening the box for example. However the person who stood out for was Winslet’s character. In all the films I’ve seen, I’ve never seen Winslet play a villain. But goodness me, what a performance! Even my friend believed in her; that’s something you don’t hear from every day in the cinema. I can say is “bravo; somebody give this actress the damn Oscar already?” Truly, a masterpiece. Like “Cinderella”, I was a fan of the costumes. I liked how they mixed in ordinary clothes and military together, especially Tris’ sleeveless leather jacket which she uses instead of a T-Shirt. I also like Jeanine’s blue dress; for me, this costume give a really clear message as a member of the audience. Looking at the dress, you can tell that throughout the movie, Jeanine is a powerful leader and a respectful too, but no one knows (not until the end that is, apart from our main characters) that she is a blood thirsty villain who wants nothing but power, glory and her city all under her control. I’m not a huge fan of the music. I like Come Back to Me by Les Friction, but that’s about it. In my opinion, there’s too many pop songs and not enough instrumental, like “Fifty Shades of Grey”. It doesn’t do the film justice much, as it distracts me from the story plot. In conclusion, I would say that Insurgent is properly not my cup of tea; it might be because I haven’t seen the first film yet or read the books, but most of it, didn’t draw me in much. You don’t like slow story lines or a lot of violence, I wouldn’t recommend this movie but if you are looking for amazing acting and wonderful action sequences, this is the one for you. I don’t know if I want to watch the first film but I’m thinking about it. Who knows, it might be good but I guess we’ll wait and see. When you think of Sir Kenneth Branagh, the first thing you say he has acted in films like Much Ado About Nothing or directed adult films. But directing a Disney live action film, is unheard of. To be honest, I didn’t know he could direct at all. Today, I went back to the cinema and saw Cinderella. My cousin and I were very keen to see this one; for months and months, we wouldn’t stop talking about it. We also were excited about Helena Bonham Carter and Cate Blanchett being in the film as the Fairy Godmother and Lady Termaine. But, never, ever did I expect to be really good. I pretty imagine everyone knows the story and has seen the 1950 animated film. If not, I recommend watching it before seeing the modern version. The 2015 version does have some parts and lines from the 1950 film, the others are based on the orginal fairytale by Charles Perrault. It’s not a hundred percent remake but it’s nice to see bits of the original film in there. I liked the storyline; Ella’s story was very beautiful and emotional. So was the Prince’s. I couldn’t help but cry for and with them. Somehow, it gives me a sense that their feelings and emotions can relate to the audience. And not many films do that. I praise and give Cinderella a standing ovation for this. I was in tears at the sad moments and the end. I won’t give the plot away but I guarantee that you won’t be disappointed if you are looking for tear-jerker. The cast are – OMG – amazing! My favourite actors in the film were Downtown Abbey actress Lily James plays Ella (or Cinderella), Cate Blanchett and Helena Bonham Carter. 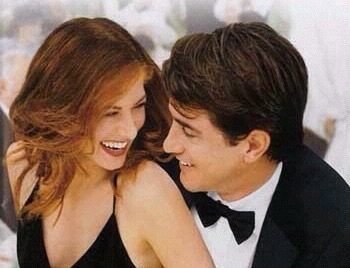 James’ portrayal as Ella is enchanting. I really, really like her; I couldn’t get enough and I wanted more of her. I like her smile, personality, etc. She’s the prefect actress to play a Disney princess. Blanchett’s portrayal as Lady Termaine is spectacular; I was scared of her when she tore Ella’s dress and broke her glass slipper. I have a feeling Blanchett did some research by watching the 1950 version because Termaine, in both films have a striking resemblance based on personality. Blanchett has recreated a master villain that will remembered for generations to come. Although she is only on screen for about ten minutes, Carter’s portrayal of the Fairy Godmother is sweet, warming and really funny. More funnier than the 1950’s character. Even her transformation from an elderly, penniless lady to a younger woman is pretty awesome. I really enjoyed her performance. I also give her cerdit for her beautiful narration. James with Cate Blanchett as Lady Termaine. The one thing that stood up for us were the costumes. Sandy Powell, an Ocsar winning costume designer was reponsible for them. She confessed that she wanted to design 19th century clothes but I think she went further than that. The costumes my cousin and I admired the most were Ella’s blue ballgown and wedding dress. We loved the petticoats underneath the ballgown, the glass slippers and the cominbation of multi-coloured flowers around the bridal dress and vail. I also loved the Fairy Godmother’s silver dress. It stands out from the rest of the costumes, as it reminds me from the Elizabethan era. Very unique and astounding. The music is pretty cool too; it’s Rachel Portman with Hans Zimmer. But it’s not them. The composer is Patrick Doyle and he does a good job. Lily James’ version of “A Dream is a Wish Your Heart Makes” is truly beautiful. My eyes are filled with tears everytime I hear this; she has a beautiful operatic voice. In conclusion, I appulade Sir Kenneth Branagh for directing Cinderella and the cast for their amazing portrayals. Is it better than the original? Absolutely. This film is definitely a must-see, especially if you have little girls. You’ll be pleased to take them, as they may want to dance to the music at the end. That certainly happened when we came out of the cinema and I can’t imagine it’ll be the same. 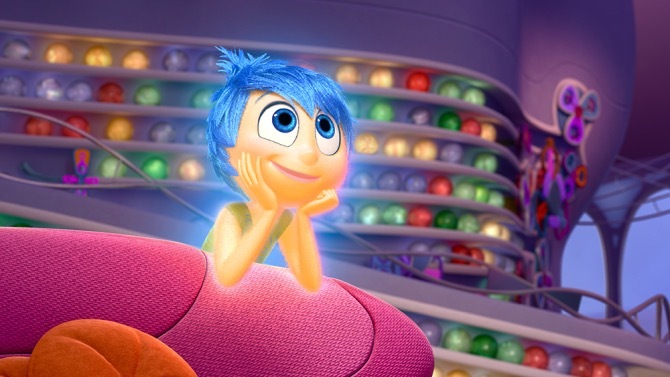 Smile, cry and dream with this live-feature film. James and Richard Madden as Prince Charming.